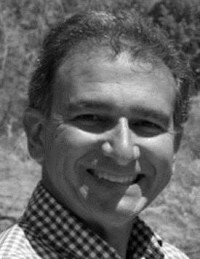 Marios Chryssavgis is an established facilitator and trainer with experience in a variety of industries and countries. More importantly, he has extensive working knowledge of the events industry working in small and large venues and major events in different regions of the world. He has had major involvement in three Olympic and Paralympic Games, Asian Games and other international events such as cricket and tennis. He has also planned, built and managed large teams in the above events as well as concerts, conferences and exhibitions. He has assumed responsibility of a variety of areas/ functions in events giving him a broad understanding of what it takes to ensure a successful event. Key to the success of the events has been the development of training programs to prepare individuals and teams to deliver a superior experience for all customers. These include, training for management, leadership mentoring and presentation skills as well as training persons for the specific job role so that they can lead teams and functional areas. It is rare to find a person who plans, develops and delivers training having a working knowledge in the specific industry.